“ … never come back to us! I suspect the extreme Brexiteers of the Conservative party will be addressing similar, if a bit more robust, words to Boris Johnson this weekend. Johnson, having been one of the instigators of the Brexit disaster, and having repeatedly reviled the Prime Minister’s deal, voted for it on Friday, in the hope that it would carry him into Downing St. In Browning’s words about Wordsworth, he left his comrades in the lurch “just for a ribbon to wear in his coat”. Double dealing is one thing – double double double dealing quite another. Having been against Brexit until the campaign was called, then for it in the hope of winning the ultimate prize and then both for and against the Prime Minister as she tried to negotiate a deal the only constancy he has shown is an unquenchable thirst for power. As a result whilst he may yet get what he wants, the number of ABB Tories – Anyone But Boris – is growing by the hour. He is not alone of course. The sinisterly unconvincing Dominic Raab, whose house at Hogwarts can only have been Slytherin, has been equally duplicitous. And Jacob Rees-Mogg, who during the week said that he would do whatever the DUP did, and then didn’t, makes up a triumvirate of charlatans who have been finally exposed by the third doomed attempt to save the Prime Minister’s face. Although I profoundly disagree with their point of view and their politics, I have some respect for those of the ERG who are not fanatics – and there are some. Bernard Jenkin is a civilised man whose work chairing Westminster’s PACAC Committee produced a critique of inter governmental relations that is accurate and helpful whilst I found Suella Braverman a very courteous minister when she was in office. She tried hard to ensure that Scotland and Wales were kept informed about the detail of the Withdrawal Agreement Bill for which she had responsibility. I accept that these people honestly believe in the position they have taken and will not be swayed from it. Honest belief, dictated by conscience, is going to be needed in the coming days. MPs will have to decide what they think is right for the people and the countries (and it is countries, not country) they represent rather than for themselves. 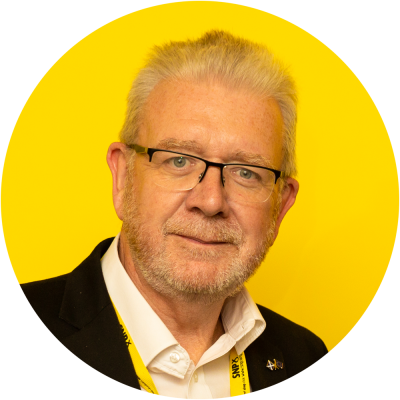 The Scottish Government has followed that approach – of doing what is right for both Scotland and indeed the UK as a whole – from the very beginning of this process. Our initial and very detailed proposals, published as Scotland’s Place in Europe in December 2016 made it clear that we did not wish to leave the EU and that we were firmly grounded in the vote of the Scottish people to that effect. That is more true than ever. Of course we also put forward compromises that we thought might command support and which could reconcile the various positions that had been taken up. Central to those was ensuring that the Single Market’s four freedoms, including freedom of movement which is absolutely essential for Scotland’s wellbeing, continued to apply. Given that there is now a real prospect of not leaving the EU, achieving that aim of remaining must be a prime objective in resolving a crisis caused by a massively botched attempt to leave the EU. So revocation, which failing a people’s vote, must be the immediate objective. Scotland should also recognise the difference between the immediate steps needed to speedily resolve what is, as the historian Anthony Seldon pointed out this week, the worst constitutional crisis on these islands for centuries and the steps thereafter which would be of most benefit to Scotland. And in that regard, if revocation or a people’s vote are what is needed now, it is undoubtedly independence that is needed for our collective, better future. Not least in case Downing St is ever occupied by Johnson, Raab or even, God help us, Rees-Mogg.